LAURA LOUISE HAYNES: O U T F I T | SHOPSTYLE Festival Competition. O U T F I T | SHOPSTYLE Festival Competition. All items are accessible through ShopStyle. 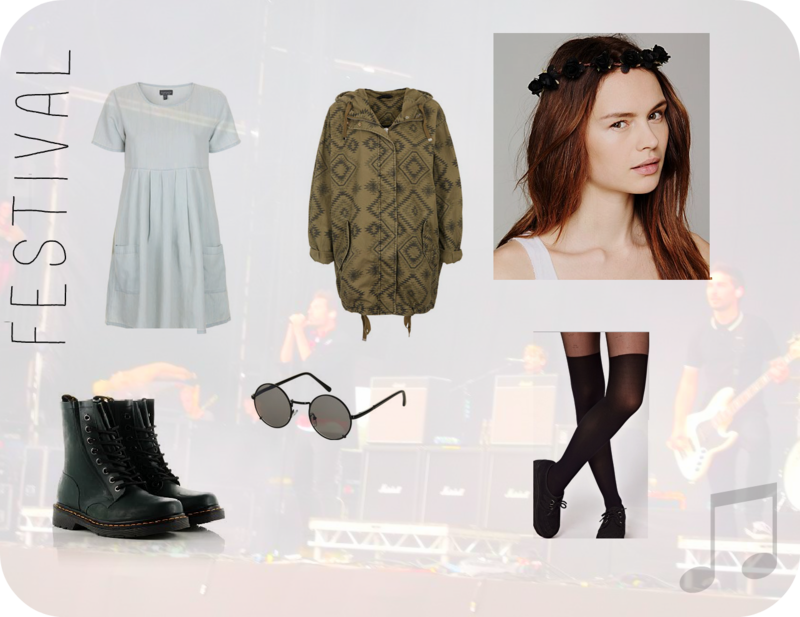 ShopStyle have asked bloggers to create their perfect festival outfit for £200 or under. The winner receives £1000 and the two runners up receive £200. Check the competition out here :) But it is the last day of entry, I luckily noticed it earlier this morning. Festivals in England are unpredictable weather wise so I have added this gorgeous Aztec print Parka for any cold or wet weather that could arise. I have added a simple denim baby doll dress, that is brought to edginess by the Dr. Martens. A touch of femininity to balance out the look comes from the over the knee tights and the floral crown that will be everywhere this summer. Topped off with some John Lennon style frames and you are good to rock out to the music. Great picks! I adore the aztec parka. I love those doc martens I've wanted some like them for sooo long!